This entry was posted in Political, Random Thoughts, Uncategorized and tagged California energy taxes, California gas taxes, california renewable energy mandate, california solar panel mandate., Jerry Brown is a moron, residents fleeing california. Bookmark the permalink. Progressive Democratic Socialism at its finest. It ever works nearly as well and efficiently as they think it will. Destroying American lives for 150yrs. Yup, yet they keep trying over and over. Well obviously Jerry Brown is not the only moron because Californians keep voting him in! Exactly, Sue. The majority of the voting public are all morons out there. I’ve sworn that I’ll never return to CA again… too many times -but, somehow I always end up back in the Sierras hiking… then swear again to never return. You hit the nail on the head, Tricia. Never let up! It’s cuz the scenery here is so darn beautiful Mike we can’t help but want to keep coming back. I didn’t know you lived in California, Tricia. What a tragic shame that a place once looked upon as a glorious destination has worked so hard to become…well, what it is. Surely it can be turned around if there is a will! that’s the problem… no will out there, everyone wants everything for nothing, yada, yada! It is tragic MB if you think about how beautiful and advanced this state used to be. I’ve spent most of today driving across it and the roads are falling apart, traffic and homeless everywhere, it’s truly in a state of decay. That’s awful Tricia. Why don’t enough people notice and connect the dots! Tricia, I’d agree with you on this if it wasn’t so insulting to morons. You’re right Al, even morons don’t deserve the JB comparison. Let me see if I understand. All the problems that have been as a result of morons in government and high taxes are OK because the weather and scenery are great! Either move or put up with the problems while enjoying the weather and scenery. The problem with putting up with your corrupt government is that pretty soon you wont be able to enjoy either because you’ll have to get 2-3 jobs to survive. But the weather is “nice”. Vote with your feet. 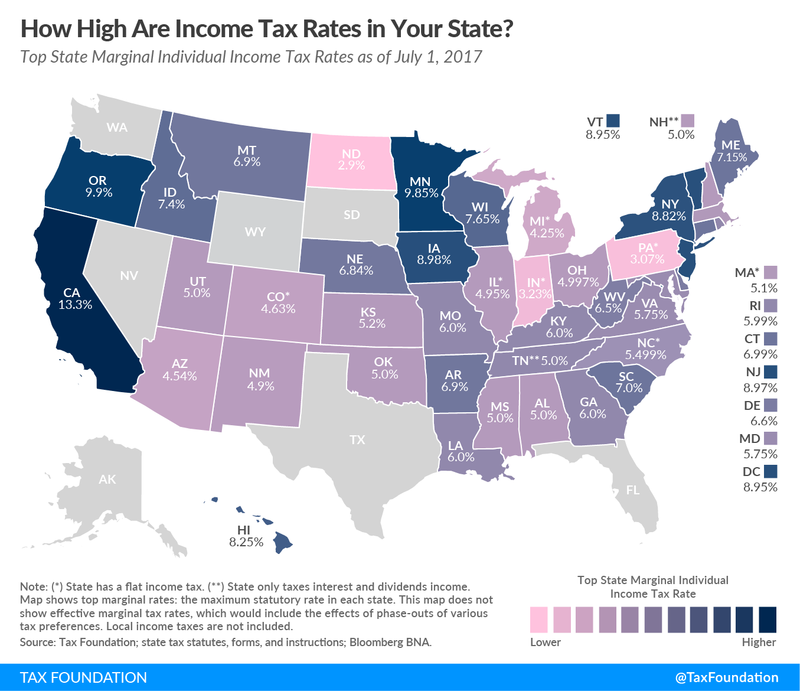 There are 7 states with 0% income tax. Reno NV beckons to you, Trish. BTW, there’s a misspelling in your article that’s a perfect Freudian slip. When you find it, you should leave it there with quotes around the word. I know Jeff, right? So many affordable and decent paces to live other than California. It would be tough for me to leave now as I explained to Dennis, or maybe I” just a glutton for punishment. I just re read the post but couldn’t find the type. My eyes are tired, been on the road all day. Where is it? It is so very sad to see this. I’ve always loved my visits to many places in California but not any more. BTW – My sister in law just left and has moved in with us. And she is a progressive liberal. Go figure! We can only hope one day Michael that California will bounce back. Until then, gotta keep fighting the good fight. That’s funny about your progressive sister in law! I bet it would never occur to her that all the progressive policies she loves did so much to destroy her state. You called it right ! 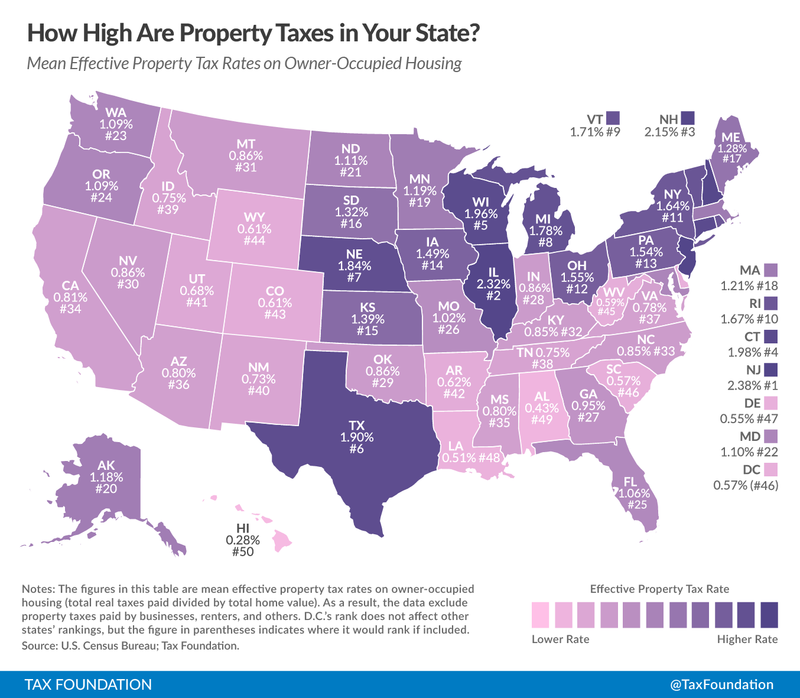 You could have added onerous and socialistic labor laws and destructively forced diversity to the list of moronic enticements to leave this state. As an employer I cannot ask an applicant if they were ever arrested, spent time in jail, can’t do a pre-employment background check, can’t ask their wage at last employment, can’t ask if they have any health issues that would prevent them from doing the job they’re applying for and it goes on! Another nail in the coffin of California is recent legislation allowing the government to confiscate private water wells and ration water to 55 gallons per person per day! Yet they encourage the cultivation of cannabis, which is a huge water use crop! A college classmate of mine who owns a pump manufacturing company in Santa Clara, CA recently voted with his feet He is in process of moving his 135 employee company to Boise, ID. Personally, I left the d@mn Golden State years ago and praise the Lord I did so ! Wow Mr T that’s some pretty insane stuff. I don’t think people realize how socialistic this state is in certain areas. It’s destroying it and quality of life for low-mid income people. The job creators like yourself just move out. I’m sure there are many beautiful places in Arkansas that would put California to shame Wally. Actually, that is correct, Tricia. The sate nickname is actually, “The Natural State,” and it fits. When I was young it was called “The Land of Opportunity,” Then they figured out that was a stretch LOL. Jerry Brown is buying other people’s votes with other people’s money. The recipients like it. So they tell Brown what wonderful things he is doing. They tell him he is even responsible for job creation. His political party is responsible for those people being hired to pick up human waste in the big cities. We use to call the process of creating morons sophistry or self delusion. Today we call it spin. What is especially pathetic is that many fleeing man made disasters like California don’t understand what they are fleeing. So when they arrive in a new state, they start trying to make their new state like the one they fled. That’s part of the problem we have in Virginia, but it is not quite that simple. 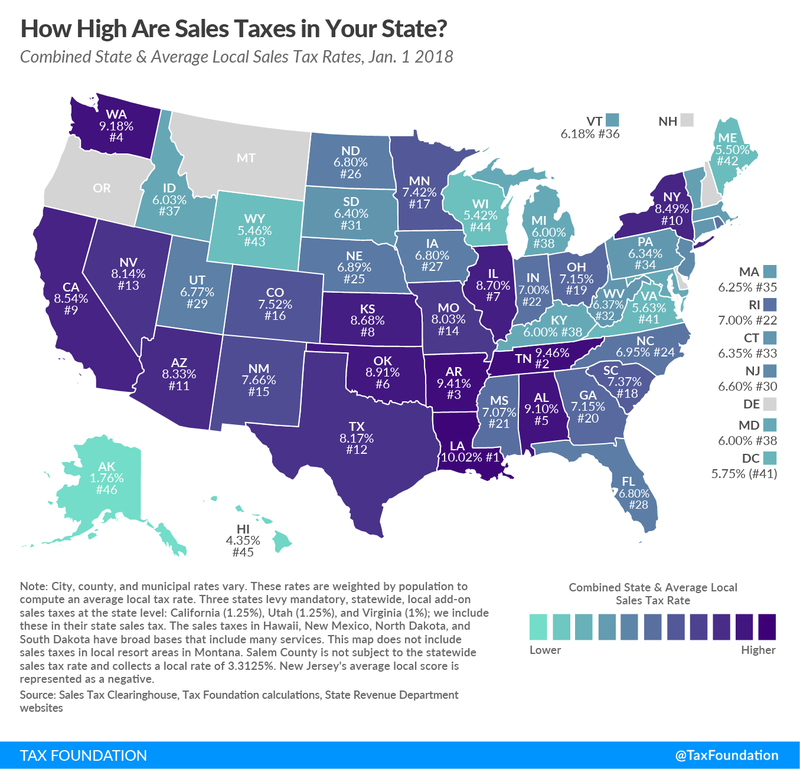 Since there are these rich counties in Virginia next to DC (full of northern transplants), the state government thinks Northern Virginia deserves special taxes. Of course, when the people in Northern Virginia elect Democrats, they elect politicians who agree. I suppose there is some sort of justice in that. Tom your entire comment is so very spot on, but especially this, “We use to call the process of creating morons sophistry or self delusion. Today we call it spin.” An entire populace of morons has been created large part because of the propaganda from political operatives that saturates our culture due to the MSM, entertainment industry, education system, etc…You cannot fight that kind of stupid because they’ve been brainwashed and the broken thought process is ingrained in their souls. And you’re right, it is so pathetic for the people who voted for policies that have destroyed my start doing it it to there states they fled to. They never seem to get the missing link. I try not to make too much fun of California because I grew up in Illinois, which is actually worse than Cali except that no one has noticed yet.